After breakfast, we will board a sampan boat to Cai Rang floating market, the region’s busiest and most lively markets. We will pull up to the boats for talking and bargaining with the merchants. We will also visit some of the local candy and cake making factories or boat through the green water landscape to see local houses, verdant orchards and ship-building yards. 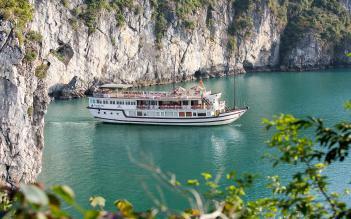 The Mekong Delta cruise ends at around 11.00 — 11.30h on the pier. 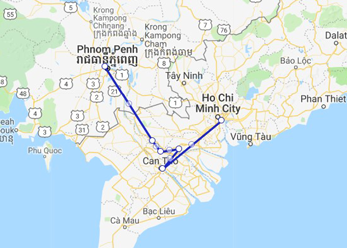 From there we provide you with a shuttle to your hotel in Saigon (Districts 1 and 3) where you arrive in the late afternoon. From the moment we arrived on the boat everything was excellently organised. Information was clear & concise. The food was outstanding and the staff so helpful & courteous, nothing was too much trouble. A very worthwhile and enjoyable experience.